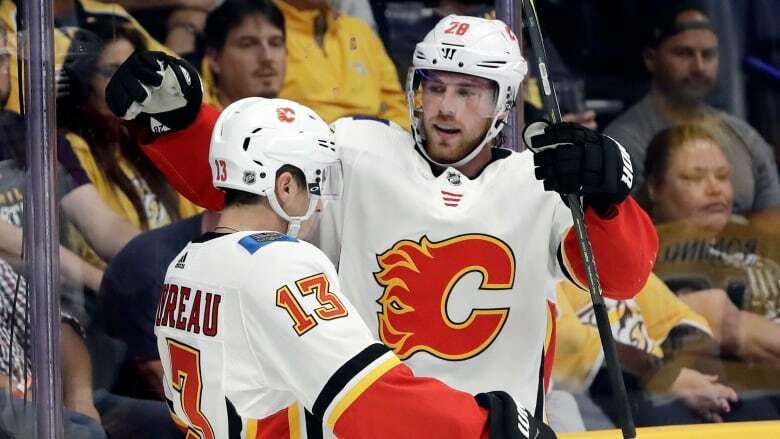 Mike Smith made 43 saves and Sean Monahan scored twice to lead the Calgary Flames to a 3-0 victory over the Nashville Predators on Tuesday night. Mike Smith and Calgary's defenders were plenty busy in Smith's 37th career shutout. "I don't think we took away his sight very well, maybe a couple of instances," Hartman said. "I think we could have [done] a better job of being in front of him, make it a little harder for him. ... He had a great night." Early in the third, Monahan carried the puck into the Nashville zone on the left side on a 2-on-1 with Mattias Ekholm defending. With Ekholm splayed on the ice, Monahan's shot hit the Swedish defenceman's left skate and slid between Rinne's pads.